New Itty Bitty Seasonal Skinnies! 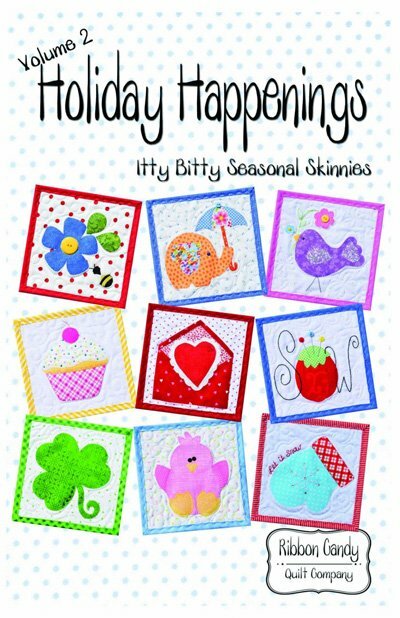 Holiday Happenings, Volume 2 images include: mitten, Valentine, shamrock, chick, bird with flower, elephant, sew, flower with bee, and cupcake. Finished size of each quilt is 6-1/2in square. Fusible web applique is used.